Being involved with DIY and upcycling is a messy business. If you don’t have a permanent workshop, or cannot use your garage for your projects, it might be time to think about creating a cheap space that allows you to work without making a mess in the house and distracting other people. Below you will find five tips on how to create a great workshop on a Budget. You can simply repurpose your garage and get it lighter and warmer, so you can spend hours brainstorming and designing, as well as completing your big DIY project. Garages are great as they have a wide entrance, so you don’t struggle with moving furniture and larger items, and they are well insulated. If you barely ever use your garage, you can now start making use of the space. If you have a budget, you can get a steel building erected in less than a day. These prefabricated buildings are strong and come in all shapes and sizes. You will be able to get an electrician to lead your cables there, and can add extra insulation for those cold winter nights when you are passing your time working on a project. A steel building will cost less than a log cabin, and is much safer if you use welding machines and flammable materials. In case you don’t mind the wind and fresh air, you could even repurpose your carport and set up your DIY hut in the carport. Make sure you have electricity nearby, and you get adequate lighting. Flood lights can be useful for working late at night when it is already dark. The main benefit of using your car port is that things will dry quicker, and you don’t risk inhaling paint and fumes, as your work area is well ventilated. It is important that you have a reliable source of electricity in your workshop. Find out what the energy consumption of each of your power tools is, and what their voltage and wattage requirements are. If you cannot supply electricity to the workshop from your house, you can research the best generator brand for your location and needs and get it installed, powering your lighting and machines. Alternatively, you can try to go off the grid and install solar powers on the roof of your new workspace. The most important thing is lighting when you work on creative projects. Get spot lights or install led lighting to make sure you can see all the colors and details clearly when working with uneven surfaces or paint. You can also get portable lights that you can place in different areas of the workstation, depending on where you are working. 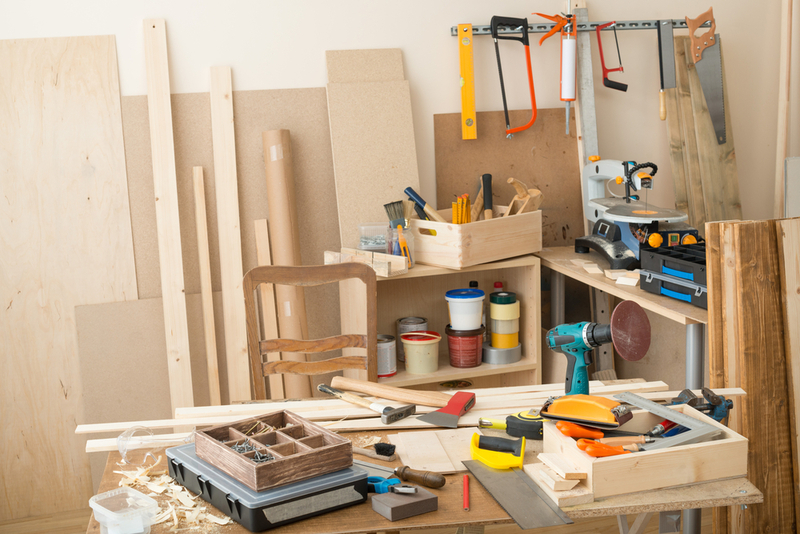 When you are short of space, and you want to protect your home from damage and mess associated with DIY projects, you might want to look into the possibility of creating your own workshop. Use your garage or carport, get a steel building, take care of lighting and electricity, and you can enjoy some creative time without distracting others.